Galleria Blogger Template is another beautiful blogger template which is modified and converted by us from WordPress template. 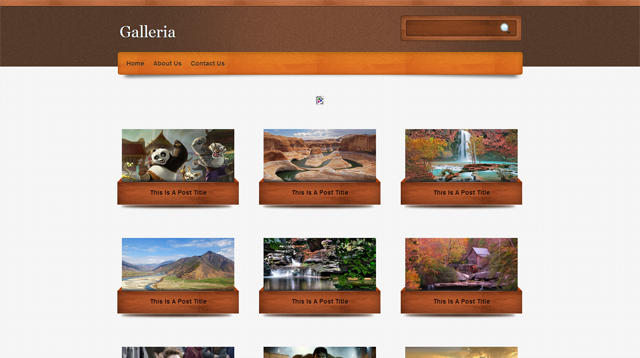 Galleria Blogger Template is a blogger theme is a thumbnail style post and having a latest scrolling post style. It have a beautiful color combo. this theme has a disqus comment system, star rating and single post sidebar function etc. All template setting you will get in the template folder and if any problem happens please ask through comment. So this template contains one versions.